Losing a 4,000-yard passer means that fans should probably get used to less offensive production or they will be sorely disappointed next year. Not for Chiefs fans, however. Losing Alex Smith to the Redskins, the Chiefs are expecting Patrick Mahomes, the 22-year-old gunslinger out of Texas Tech, to step right into the void left by the 3-time Pro Bowler. In a very tough division that features the Raiders, Broncos, and Chargers, this team will have a hard time getting out and making the playoffs. This tough schedule only adds to the value of the Kansas City Chiefs betting odds for those believers in the young quarterback and his plethora of weapons. Helping to ease the pain induced by Smith’s departure is the presence of 2017’s leading rusher Kareem Hunt. Compiling 1,327 yards and 8 touchdowns in his rookie season as a third round pick out of Toledo, Hunt has exploded onto the scene as one of the NFL’s most dangerous ball carriers. His success this season will correlate directly to the success of Patrick Mahomes. If Hunt is in elite form again in 2018, Mahomes will have much more time and space to operate. Amazingly, Hunt is only one of the weapons Mahomes can spread the ball around to. The Chiefs had the luxury of two 1,000 receivers last season in Tyreek Hill and tight end Travis Kelce. Hill is a speed demon who the defense must constantly prevent from going over the top while Kelce will live in the seams and create matchup nightmares. Kelce also thrives in the red zone, which is illustrated by his team-leading 8 touchdown catches. Head Coach Andy Reid is hoping the combination of Hunt, Hill, and Kelce will make the offense unpredictable enough that Mahomes should have no problem spreading the ball around and gaining confidence. As if these weapons were not sufficient, the Chiefs made a big splash early on in free agency by signing the former Bills and Rams wide receiver Sammy Watkins. Although he has yet to string together good seasons, no one can doubt the athleticism and the potential for big plays that Watkins bring to this offense. Chiefs GM Brett Veach believes that Watkins will be a reliable target for Mahomes in the red zone, greatly improving the Chiefs ability to finish drives. The Chiefs are projected to be in the middle of the pack this year, listed at 30-1 odds to win Super Bowl 53. As we mentioned before, their division is stacked which will make their road to the playoffs a bit trickier. 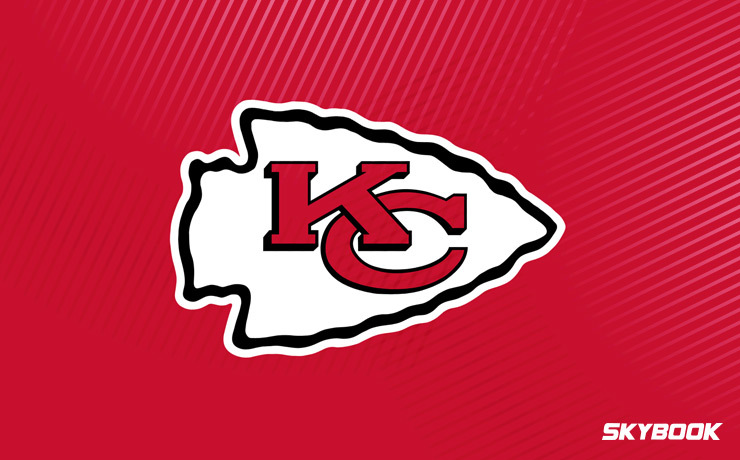 If you would like to bet on the Chiefs and follow them throughout the season we will deliver you game analysis, matchups, and injury reports all right here in one convenient location. Here at SkyBook, we pride ourselves on being the best NFL sportsbook for all your football betting needs. We offer the best Kansas City Chiefs betting odds along with great bonuses that you will not find anywhere else.